Major cuts to CC Rider bus routes will take effect just four days after county commissioners approved final service reductions. 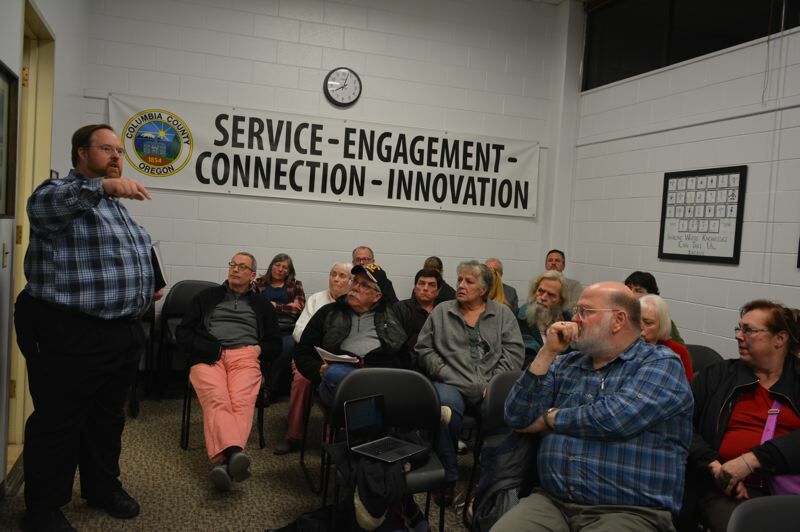 In a special meeting Wednesday night, Jan. 30, Columbia County commissioners voted unanimously to approve major route reductions at CC Rider in an effort to close a $650,000 budget gap. "I believe the only solution at this time are the reductions," Commissioner Margaret Magruder said before casting her vote of approval for the bus route changes. To immediately cut expenses, CC Rider will stop operating on weekends, starting Sunday, Feb. 3. In addition to cutting all weekend service, Line 1, the most heavily used commuter route that offers service from St. Helens into downtown Portland, will go from 14 daily trips to just eight. The cuts come amid leadership changes at the transit agency and years of failed ballot measures to create a permanent, stable pot of funding for CC Rider. "For the last three years at least, we've been running in the red and slowly bleeding out," Todd Wood, the agency's executive director, said matter-of-factly. "It took three years to realize that you're upside down?" Dale Allen of Vernonia asked. Wood and County Commissioner Henry Heimuller said it's "no surprise" that CC Rider has been running at a deficit. Unlike most other counties with transit agencies, CC Rider relies entirely on federal and state grants, which typically require the agency to match funds with its own stable revenue sources. Matching funds cannot come from fare money, Wood noted, and many grants can only be used to expand service or offer new projects, not maintain existing bus service. While Oregon residents see state transportation funds deducted from their paychecks to pay for transit services, those funds remain in the county where they work. That means the estimated 70 percent of Columbia County residents who commute to other counties for work don't pay into the local pot of funds. "I think what we really need to be talking about is how do we fund this program long-term and what is this program going to be if the community is not willing to fund it in the future?" Commissioner Alex Tardif said before voting. All weekend services will end. Arrives/Leaves: 7:52 a.m.; 9:52 a.m.; 4 p.m.; 6 p.m. Arrives St. Helens Transit Center: 7:38 a.m.; 4:57 p.m.
Leaves St. Helens Transit Center: 7:43 a.m.; 5:05 p.m.